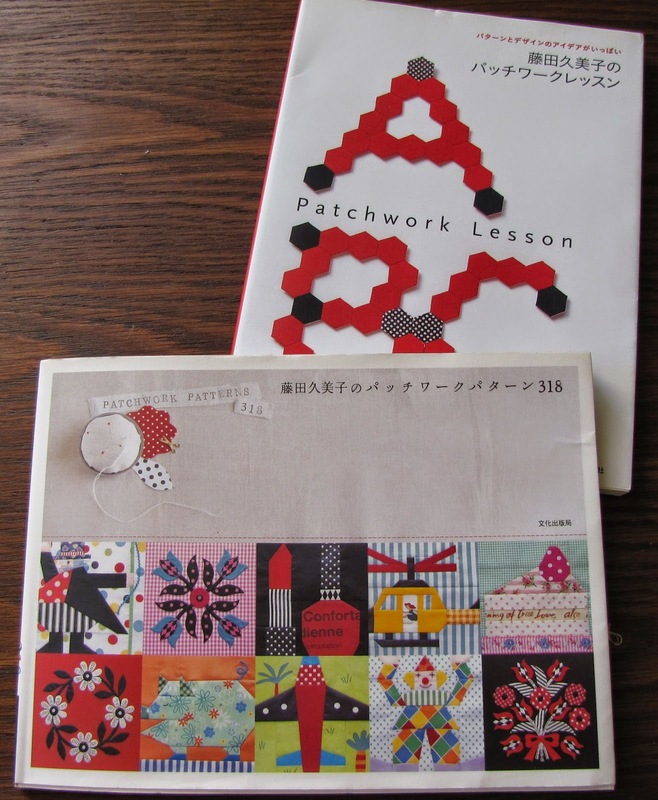 I love Japanese sewing books and Patchwork Patterns 318 is one of my favorites. 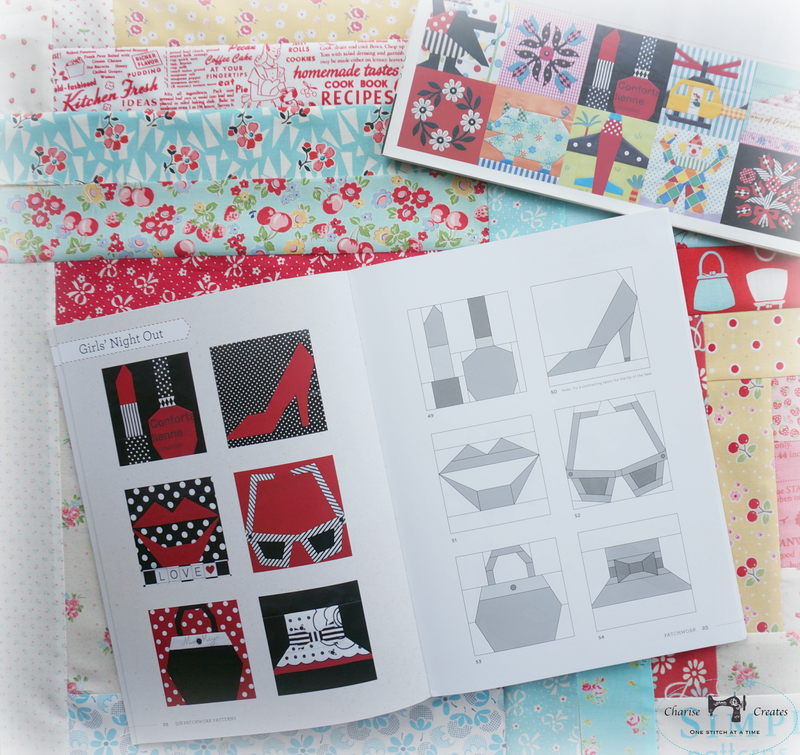 The book is by Kumiko Fujita who also designs wonderful fabrics. A few years ago I belonged to a quilting bee where we made blocks for the other members from the book. You can see all the blocks I made in the photo above. The book is filled with adorable themed blocks and pretty floral appliqué patterns. The only problem is that it has been out of print for some time. Ebay and Etsy prices were out of control! Thankfully, Zakka Workshop (World Book Media) reprinted the book in English and it is available now! 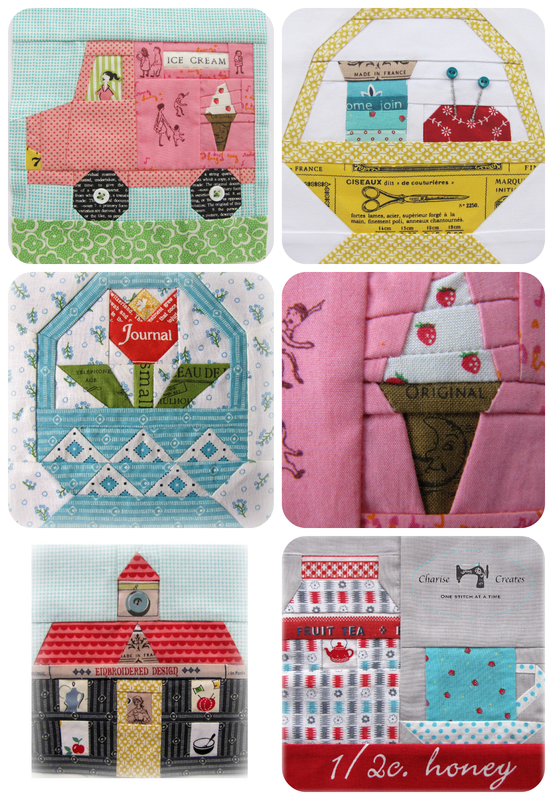 You can find it at Sew Me a Song, Pink Castle Fabrics and from Zakka workshop! Zakka Workshop kicked off a blog hop on Monday! It is filled with wonderful projects - the first being a cute house wall hanging by Kerry Green. Kerry shares some great tips for enlarging the blocks and piecing using a freezer paper method. The perfect method for a block with "Y" seams. I will be sharing my projects on November 3rd - a cosmetic bag and a shoe bag from the "Girl's night out" collection of patterns. Check out the schedule below and be sure to stop by each blog for wonderful projects and inspiration. If you are on Instagram - you can find the blog hop with #318PatchworkPatterns and #pp318qal for the Quilt Along.